How is the weather at Port Limon? Unstable, there is not a well defined dry season throughout the year, within the same day you may see rain and sun several times. Why some part of the population of Limón speaks Creole English? Back in 1870 the government of Costa Rica brought a large group of people from Jamaica in order to work in the construction of the railroad that links San José with Port Limon, they were brought under the commitment of taking them back to Jamaica once the railroad was finished and this never happened among other reasons, because the contractor sometimes paid them with land. So I can for sure speak in English to everyone while visiting Port Limon? 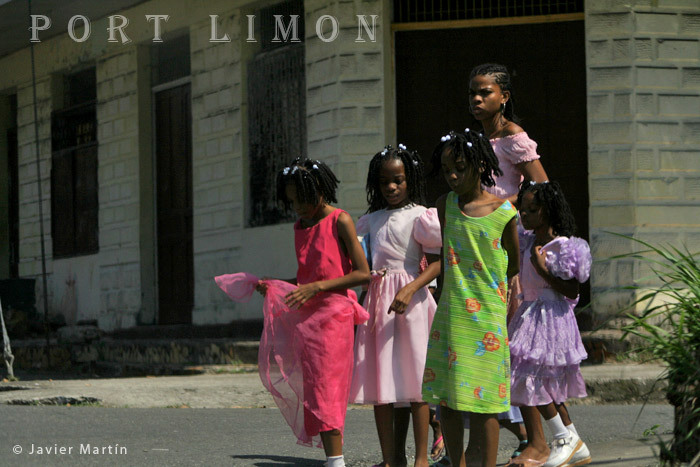 Not all of the inhabitants of Limon will speak English, mainly the afro descendents will speak it. Now is more frequent to find Caucasians speaking in English, specially youth, but still many of the spanish descendent people do not know English. These days schools are teaching English to the new generations. So, now a big percentage of costarrican people are speaking English. Is it safe to walk in downtown Limón? Like in any other city there are safe areas and some non safe areas, as a general recommendation, stay in the heart of downtown, if you are planning to walk there let us know so we can advise which place you should avoid. Should I get any vaccine before arriving to Puerto Limon in Costa Rica? Certainly not, no illness has produced yet such request; we do find Malaria and Dengue but in much reduced amount and to avoid both you will just need insect repellent. How much economical potential does Puerto Limón has? Really a lot, is through this port that 80% of exportations of Costa Rica is done, talking about tourism, the constant arrival of cruise ships has been producing a growth of local economy by the creation of eco friendly tourist infrastructures like zip line canopy tours, jungle boats rver trips along Tortuguero Canals and much more. Is there any risk swimming in the sea? Yes there is, during some periods of time, the ocean waves can be strong, and rip tide can become very intense, places like Bonita Beach (near downtown), Puerto Viejo area (south of Port Limon) have to be considered risk full some times and you must receive local advise about dangerous spots before you get into the water.